The Code Corporation 2512 scanner has been a workhorse for our special programmed applications centered on ALD. With new high-performance bar code reading technology, the Code Reader 2500 (CR2500) is the most aggressive bar code reader on the market today. The CR2500 decodes bar codes faster and offers features not found in other readers, including Code’s new patented automatic glare reducing technology. The CR2500 offers the next generation in dual-field optics, reading both wide linear and the smallest of 2D bar codes. The optimal focus and field of view indicator of the CR2500 make bar code reading even easier than before. The CR2500 excels in batch, cabled or wireless modes. 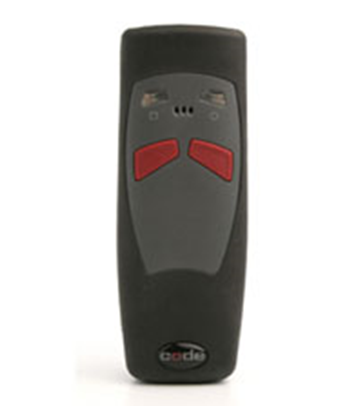 Wireless readers are available with a Bluetooth Class I or Class III radio. The CodeXML Bluetooth Modem enables simplified wireless transmission of captured data to a host computer or system. The CR2500 is lightweight, comfortable and easy to use and will excel in both low and high-volume use case scenarios. In Healthcare applications, the rugged design and disinfectant resistant housing can give you peace of mind knowing that the CR2500 can operate reliably 24/7/365. Code’s new patented anti-glare reducing technology makes the CR2500 the ideal reader for applications with bar codes on difficult reading surfaces, including circuit boards, IV bags, patient-wristbands, driver licenses and other shiny or curved surfaces.